Arrive Jordan ,to Queen Alia International airport. Meet, assist & transfer to the hotel. Dinner & Overnight in Amman. After Breakfast at the hotel, start Drive to Al Azraq Reserve, Full day tour to visit Al Azraq & Shumari reserves, Rare Birds of Jordan Expedition: 4 hours, 2 km hiking. Touring Azraq wetland and Shumari Reserves. Binoculars are necessary. Continue to the Campsite in Shumari Reserve. Dinner & Overnight. After having breakfast, transfer to Ajlun Woodland Reserve for a Rockrose trail: 8km trail, taking 4-5 hours, passing across heavily wooded valleys and ridges, inside and outside the nature reserve. This highly scenic trail passes through villages and olive orchards and offers beautiful panoramic views to the West Bank and Syria. There is steep scrambles en-route that demands a reasonable level of fitness. Back to the lodge area. Dinner & Overnight in Ajlun. after Breakfast at the camp, start Drive to Al Mujib Nature reserve for The Ibex Trail: Hikers of this trail can enjoy the Ibex enclosures at the Mujib gorgeous mountains. 2 km from the Mujib Bridge starts this trail, then heading to the gorge. Visitors are guided to the Rayyashi Area where one can view some historical monuments. This 2-3 hours hike is ended at the Ibex enclosures where a full explanation about Ibex project is given. Continue to Dana Reserve. Dinner & Overnight in Dana. 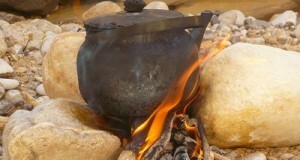 Breakfast at the camp, a Roman Lost Copper Mines Tour (Dana- Feynan Eco-lodge- copper mines): 16 Km trail taking 6 hours hiking from Dana to Feynan Eco-lodge visiting the copper mines. Dinner & Overnight at Feynan eco lodge. Breakfast at the hotel, Full day to explore the magnificent Rose – Red City of Petra hidden behind an almost impenetrable barrier of rugged mountains, boasting incomparable scenes, horse riding through the Siq for 400 meters. Prepare yourself to enjoy the most majestic and imposing ancient site still-standing nowadays. Petra is considered the most famous and gorgeous site in Jordan and it is always breathtaking, and never to be forgotten. Drive to Wadi Rum. 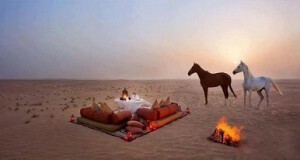 Dinner & overnight in Wadi Rum. after Breakfast at the camp, Full day Jeep Ride by 4X4 jeeps to explore the unique Desert of Wadi Rum, There are many ways to explore this fragile, unspoiled desert retreat. 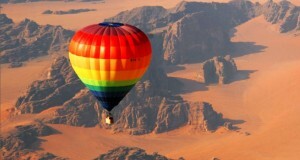 Serious trekkers will be drawn to Wadi Rum, with challenging climbs some 1750 m high, while casual hikers can enjoy an easy course through the colorful hills and canyons. 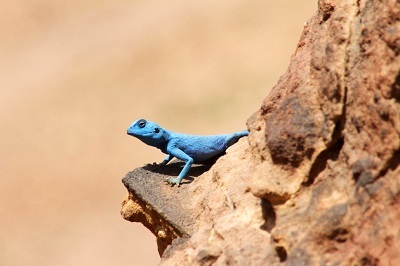 Naturalists will be drawn to the desert in springtime, when rains bring the greening of the hills and an explosion of 2000 species of wildflowers. Red anemones, poppies and the striking black iris, Jordan’s national flower, all grows at will by the roadside and in more quiet reaches. Drive through the desert highway back to Amman. 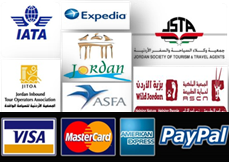 Dinner & overnight in Amman city . Breakfast at hotel, transfer to Queen Alia International Airport for final departure. 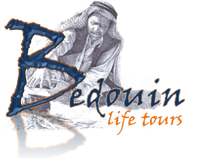 You will enjoy Jordan tour with an ecological touch and visit nature reserves; Adventure and comfort at the extraordinary world of Jordan’s natural treasures, a bio-diversity of wildlife with the world’s lowest altitude natural Reserves.